The global phenomenon. The Sunday Times Number One Bestseller. The New York Times Top Ten Bestseller. Planet Earth is 4.5 billion years old. In just a fraction of that time, one species among countless others has conquered it. Us. We are the most advanced and most destructive animals ever to have lived. What makes us brilliant? What makes us deadly? What makes us Sapiens? In this bold and provocative book, Yuval Noah Harari explores who we are, how we got here and where we’re going. Sapiens is a thrilling account of humankind’s extraordinary history – from the Stone Age to the Silicon Age – and our journey from insignificant apes to rulers of the world ‘It tackles the biggest questions of history and of the modern world, and it is written in unforgettably vivid language. Someone from Wapda town, Gujranwala and 1 other bought this item recently. 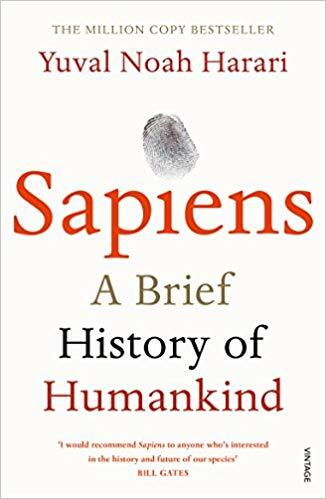 Bold, wide-ranging and provocative, Sapiens challenges everything we thought we knew about being human: our thoughts, our actions, our power … and our future. Buy Sapiens A Brief history of Humankind on Bonpaper at a discounted price.